''OUR LIFE IS A JOURNEY TO ART"
The Zhou Brothers come from the autonomous Chinese region of GuangXi and studied art in Shanghai and Beijing. They became the most famous young painters of their generation and mainland China in the 1980s. In 1985 they were honored as the first contemporary artist ever to show their work in an exhibition that traveled to the five largest museums in China, including the national Art Museum of China in Beijing and art museums in Shanghai and Nanjing. One of the most important demonstrations of their collaboration is the performance the Zhou Brothers gave during the opening ceremony of the world economic forum in Davos, Switzerland, in 2000. In front of the most important political, economic, and cultural leaders in the world, they created a large format painting titled “New Beginnings” to give due treatment to their most important theme, humankind. 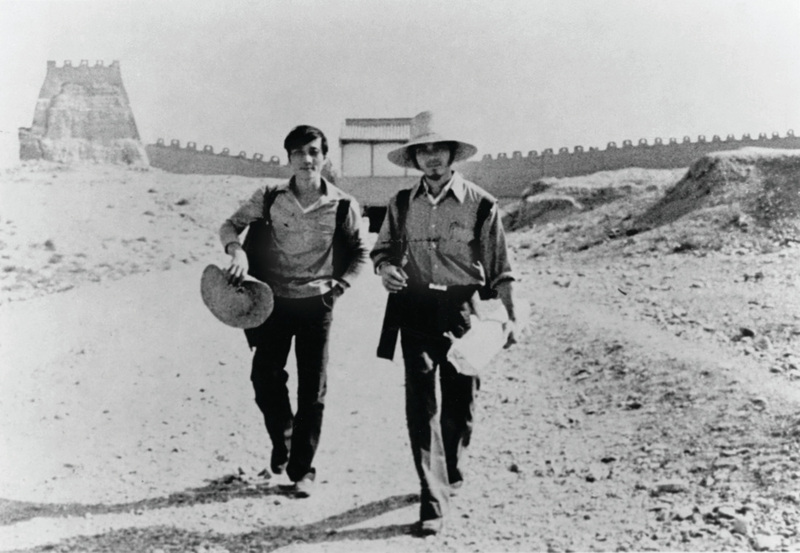 In 2004, The Zhou Brothers founded the Zhou B Art Center with the dream of providing a platform and creative freedom for international artists. In 2011 President Barack Obama commissioned the Zhou Brothers to create a painting, “ Eight U.S. President’s and the Great Wall,” a testament to the relationship between the United States and China, that would be presented as the State gift to then President of China, President Hu Jintao, in a private ceremony attended by the Brothers at the White House. With their unceasing contributions to the Chicago art community, in 2014, Illinois Governor Pat Quinn issued a proclamation declaring October 16, 2014 as Zhou Brothers day in Illinois and in 2015 Mayor Rahm Emanuel dedicated 35th street as Honorary Zhou Brothers Way.